Share Market Update: BSE SENSEX closed at 38905.84, up by 138.73 points or by 0.36 % and then NSE Nifty ended at 11690.35 up by 46.9 points or by 0.4 %. The Market breadth, indicating the overall strength of the market, was strong. On BSE out of total shares traded 2980, shares advanced were 1543, while 1219 shares declined and 218 were unchanged. Overall 24 stocks closed in the green out of 30 stocks on the Sensex, whereas 37 stocks closed in the green out of the 50 stocks on Nifty. The BSE MIDCAP was at 15501.89 up by 75.44 points or by 0.49 %, while the BSE SMLCAP was at 15115.2 up by 93.02 points or by 0.62 %. On the sectoral front, BSE Metal index was at 11724.77, up by 257.44 points or by 2.24%. On the other hand, BSE Oil & Gas index was at 14765.98, down by -61.78 points or by -0.42%. 3:30 pm: Top gainers in the S&P BSE 200 are Vodafone Idea (6.54%),and Tata Motors (6.18%) ; whereas the top losers are Infosys (2.72%), LIC Housing Finance (2.06%),and Tata Power (2.06%). 3:20 pm: Overal 37 sectors have advanced (Top gainer: Nifty Metal 2.33 %) while 6 sectors have declined (Top loser: Nifty Pharma 0.59%). 3:15 pm: Market is gaining with lower volumes on its back. The Market has gained 0.50% while volumes have fallen by 9.26%. 3:00 pm: Network 18 Media & Investments Ltd.'s shares fell over 4 per cent to day's low of Rs. 35.25 as the company announced March quaterly figures. Company's loss during the March quarter widened to Rs 91 crore from the loss of Rs 43.7 crore registered during the first three months of 2018, according to its stock exchange filing. 2:45 pm: Shares of TV18 Broadcast fell as much as 3.8 percent to Rs 37.15 after announcing March quarter results. The company reported increase in revenue by 55.9 percent to Rs 1,181.5 crore and net profit of Rs 28.2 crore versus Rs 2.8 crore Y-O-Y. 2:20 pm: Market has gained 0.42% while volumes have fallen by 11.77%. The overall market cap has increased by 0.63 per cent. 2:00 pm: 36 sectors are advancing while 7 sectors are declining. The top gainer is Nifty Metal up 2.59%, against the top loser, Nifty Pharma down by 0.59%. 1:45 pm: Top gainers in the afternoon session are Vodafone Idea (7.17%) Tata Motors - DVR (6.47%) Tata Motors (5.88%), whereas Infosys (-3.12%) Tata Power (-1.92%) ICICI Lombard General Insurance (-1.82%) are the top losers. 1:30 pm: PC Jeweller's shares rallied 14 per cent to Rs 128 in intraday trade on Monday, after foreign portfolio investor (FPIs) bought more than 2 per cent in the company through the open market. On April 12, Carlina had purchased 4.65 million equity shares, representing 1.2 per cent stake, in PC Jeweller for Rs 49 crore. Carlina had acquired 3.7 million shares, or 0.94 per cent stake, in the company at price of Rs 94.68 per share earlier, on April 10. 1:10 pm: Government eMarketplace (the national public procurement portal offering end to end solution for all procurement needs of Central and State govt. departments and PSUs) has closed the FY 2018-19 on a high note. The year witnessed a four-fold increase in total value of transactions on the portal and doubling of number of sellers in the marketplace. 12:50 pm: The official Wholesale Price Index for 'All Commodities' (Base: 2011-12=100) for the month of March, 2019 rose by 0.4 percent to 120.0 from 119.5 for the previous month. The annual rate of inflation, based on monthly WPI, stood at 3.18% for the month of March, 2019 (over March, 2018) as compared to 2.93% for the previous month and 2.74% during the corresponding month of the previous year. 12:30 pm: Shares of ITI Ltd. gained almost 3 per cent intraday to Rs 102.55, as the company recorded a turnover of Rs 2,051 crore for FY19, up 20 percent compared to previous year. 12:20 pm: GMM Pfaudler has acquired Industrial Mixing Solutions Division(IMSD) of Sudarshan Chemical Industries Ltd., Pune for Rs. 29 crore. The two businesses, once consolidated, would become India's premier industrial mixing solutions provider. Shares of GMM Pfaudler rose to day's high of Rs 1230 against the previous close of Rs 1219. The stock has been gaining at 3.33 per cent rate for the last 3 days. 12:00 pm: The rights issue of Bharat Gears will open on Monday in which the company will issue up to 11.63 lakh shares for cash at a price of Rs 105 a share to eligible shareholders, at the entitlement ratio at one equity share for every seven held in the company. The right issue will close on April 30. 11:45 am: TCS gained 3.5 percent on Monday after the IT major reported a strong set of numbers this quarter. TCS on Friday reported 17.7 per cent growth in consolidated net profit at Rs 8,126 crore for the March 2019 quarter. This is against a net profit of Rs 6,904 crore in the year-ago period, TCS said in a regulatory filing. 11:30 am:Metropolis Healthcare Ltd. listed at a premium of 8.9 percent at Rs 958 per share on the National Stock Exchange and rose as much as 10.2 percent to Rs 939.90, compared to its issue price of Rs 880 apiece. 11:15 am: SpiceJet shares rose nearly 8 per cent intraday on Monday as the company announced that it will connect Mumbai to a host of international destinations with direct non-stop flights to Hong Kong, Jeddah, Dubai, Colombo, Dhaka, Riyadh, Bangkok and Kathmandu. The new international flights will commence from May-end. The airline will be deploying its aircraft on the new routes. The shares opened with a gap up of 3 per cent in the early trading session. 11:00 am: Ferns N Petals plans to come out with its initial public offer (IPO) in 2020 while it expands its operations beyond the core business of flowers and gifts retailing, a top company official said. The company's expansion plans include FMCG and hospitality sectors. 10:40 am:Metropolis IPO to list today. It has been oversubscribed 6 times against the issue price of Rs880/share. 10:30 am: Wipro Ltd., Tata Steel Ltd., Reliance Industries Ltd. and HDFC Bank Ltd. will be reporting their quarterly results this week. 10:00 am: Among the 50 components in the Nifty index, 35 shares were trading in the green, while 15 were in the red. 9:50 am: IT major Infosys on Friday posted a 10.5 per cent rise in consolidated net profit at Rs 4,078 crore for the March 2019 quarter, and guided towards 7.5-9.5 per cent growth in revenue for FY 2019-20. Following many brokerages downgrading the stock on disappointing revenue forecast, the shares of Infosys declined nearly 5 per cent in early trade on Monday. Infosys, with over 0.11 crore shares changing hands, was leading among the most traded stocks on NSE on Monday. Profit for the quarter was at Rs 4,074 crore. 9:30 am: Tata Motors, TCS, Coal India, ITC, and IOC gained the most on Nifty, while Infosys, GAIL, ICICI Bank, Cipla, and HDFC, fell the most on the index. 9:20 am: The BSE Sensex was trading up 64 points at 38,831, while the broader NSE Nifty50 was up 15 points at 11,658. 9:10 am: The Indian rupee opened higher and appreciated as much as 0.19 percent to 69.04 against the U.S. dollar. 9:05 am: Asian markets opened on a positive note, as impressive China economy data eased concern about slowdown in the country's economy growth. Nikkei, Hong Kong and China Index gained 1% each. 9:00 am: US stocks closed higher on Friday as bank earnings provided the lift. Brent crude spiked to a 5-month above $71/bbl. Indian benchmark indices opened slightly higher on Monday supported by positive global cues. 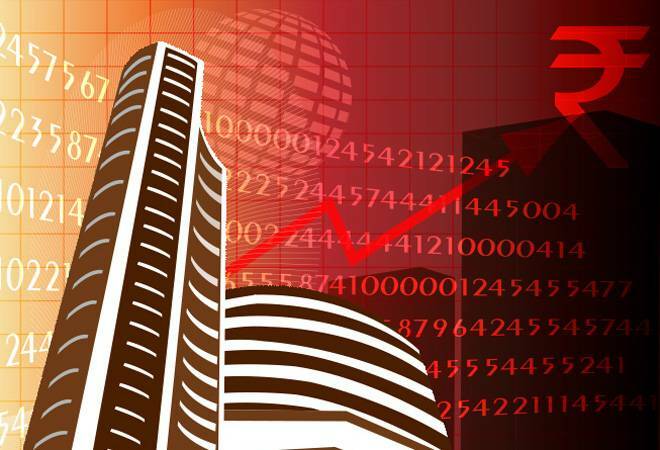 Markets are expected to open in the green on account of global cues. Markets may move in a narrow range ahead of quarterly results and the second phase of the election.